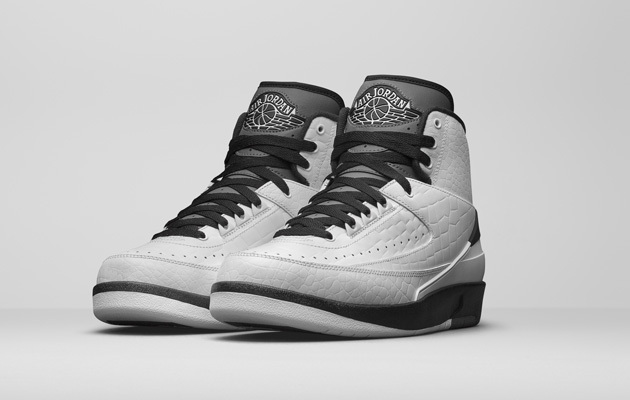 The Air Jordan II "Wing It", which originally released in 1986, will come back on March 5th. Kicks and Colors spotlights the variety of colorways—and the stories that go with—that brands unveil in key basketball sneakers. Story: Just watch the Air Jordan II 1986-era commercial. 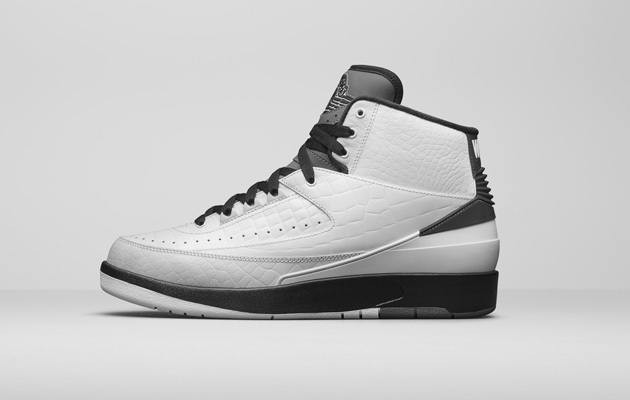 It says all you need to know about the re-mastered 20th anniversary shoe releasing this weekend from Jordan. 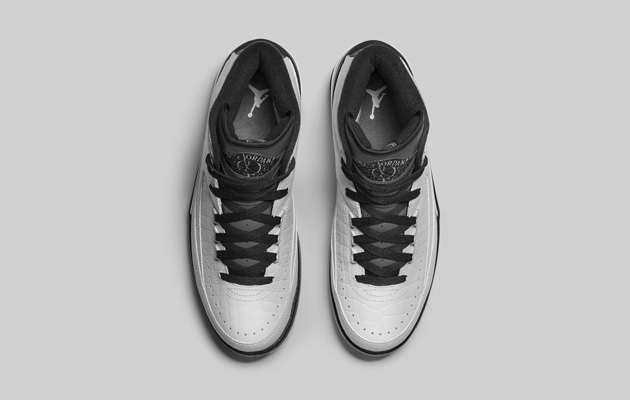 With a commercial and print advertising push that accentuated the wings from the Air Jordan logo, which came before the Jumpman sign, this retro version goes white, black and dark gray to give us all things 1986-inspired. In a modern touch on the classic, look for “Wing” on the left heel and “It” on the right heel. Just "Wing It".